I was immediately interested in reading this book when I discovered that Nick Stafford is a screenwriter and this is his first novel. I particularly enjoy novels with plenty of dialogue where we, as the reader, are actually caught up, word for word in encounters, arguments, revelations between characters. I think for me that's the best type of novel and in this, Armistice didn't disappoint. Where it did was with one of the three main characters. I just felt his depiction was muddled somehow and also, one scene came across as unbelievable. A future reader will have to figure out which one! 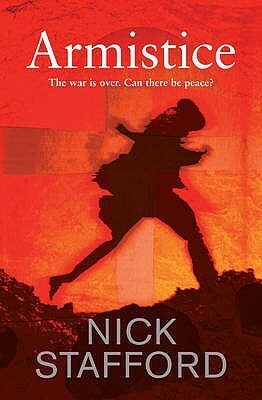 Sign into Goodreads to see if any of your friends have read Armistice.